Like many women of their generation, Chenai (78) and Sekesai (80) were not sent to school due to a prevailing cultural belief that saw parents prioritise education for the boy child only. Chenai and Sekesai were victims of this practise, and all their lives they have had to make do without the critical skills of reading or writing for themselves. “Sometimes our pastor gave Bibles to people, and even though I was a member of the church for over 20 years, I was never considered simply because I can’t read,” she said with a hint of sadness in her voice. 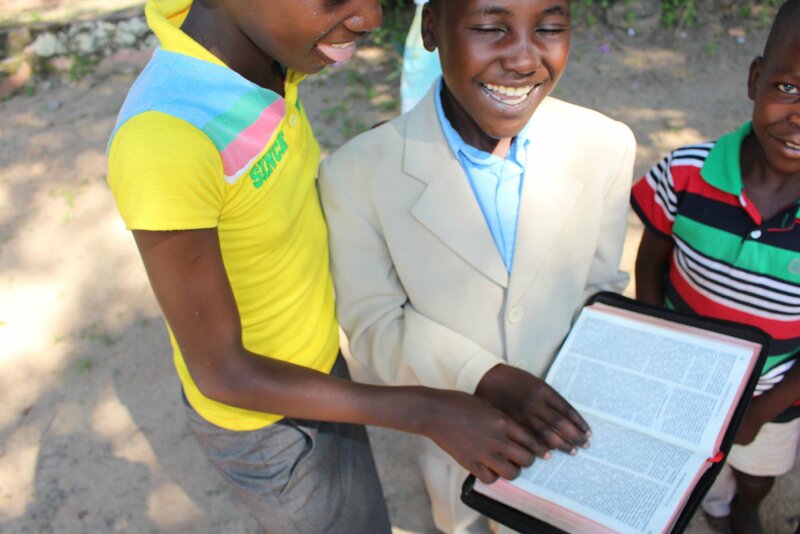 Sekesai and Chenai were finally remembered when their pastor obtained audioBibles from OM in Zimbabwe to give to the functionally illiterate and the blind in the church. “I have been in the church for over 30 years. I felt honoured and worthy when the pastor called my name to give me the audioBible,” said a cheerful Chenai. Church leader, Pastor Israel Fernando, under whom Chenai and Sekesai fellowship, said audioBibles were a helpful tool that would aid with the discipleship process in his church. “Discipleship is difficult if you as the pastor must read, interpret and instruct instead of someone discovering truths and asking questions. Thus, someone can be in the church for 30 or more years and yet remain an infant in their faith,” said Pastor Israel. He added that the audioBible would revolutionise his church, especially in rural areas where a lot of the poor and uneducated live. OM has declared a bid to reduce Bible poverty in Zimbabwe by helping provide printed Bibles and audioBibles to marginalised people. The team hopes efforts such as these will improve Bible literacy and breathe life into the church in Zimbabwe.